Coram Design Center exists to bridge the gap between you and your dream home. We are committed to work with our clients to build their vision. From design to construction, we are your full-service partner for all home renovation needs. We think experience, professionalism and excellence are key factors in our process, and these aspects truly set us apart. Our team members have proven their talent, ability and attention to detail throughout the years. Leave no doubt when choosing a contractor. We are passionate and committed to exceeding the expectations of our clients. Serving your needs is our number one priority. Communication throughout a project is crucial. Coram Design Center is always available; responsiveness is a core company value. Coram Design Center’s heart is to serve the community. We are wholehearted proponents of social entrepreneurship and using business to do good and give back. Our mantra is to consider others more significant than ourselves. Top Home Remodeling is a family-owned business specializing in the construction and remodeling of fine residential homes. lee is the owner of top home remodeling , and interior designer. We put ourselves in the homeowner's shoes. For every project we always ask ourselves "Knowing what I know, what would I do if I were spending my own money on this project?" "What is the most functional and efficient way to spend my money?" we think of everything when it comes to your project to really make each and every one of our customers happy. 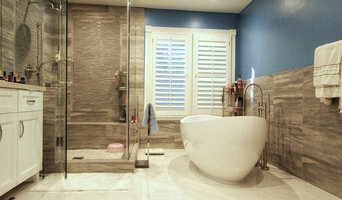 We specialize in kitchen remodel, bathrooms remodel, roofing, flooring, paint and much more. We offer free in home estimates with interior design plans. Your satisfaction is our goal! D Christjan Fine Cabinetry (DCFC) is a local manufacture of custom cabinetry for Contractors, Interior designers and Home owners who desire High end craftsmanship. Phill Vonk is a General Contractor who specializes in Kitchen & Bathroom Design and Remodeling, We offer Fine Cabinetry design service, and Custom Millwork. Local delivery and installation service. Please give us a call for a free estimate. 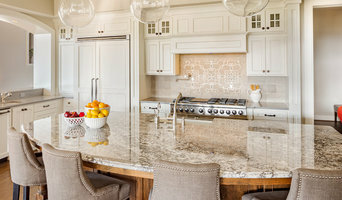 What does a La Crescenta-Montrose kitchen and bath remodeling expert do? Licensed California kitchen and bath remodelers are contractors who specialize in altering the structure of an existing space, rather than building one from the ground up. Because he or she must deal with a previous builder’s work, the job can get more complicated than new construction. You might wonder why they often specialize in both kitchens and bathrooms, but if you think about those two spaces, they actually have a lot in common. Kitchens and bathrooms include an abundance of fixtures that require careful planning and installation, including sinks, faucets, tubs and toilets that all need water hookups and drainage. They also use similar materials, such as tile and stone for countertops and flooring, due to the nature of their use. So it makes sense that La Crescenta-Montrose kitchen remodelers and bathroom remodelers be one in the same. A bathroom or kitchen remodeler translates architectural plans from page to reality; some are also trained to provide design services so that you don’t have to hire a separate pro. Like a general contractor, a kitchen and bathroom remodeler in La Crescenta-Montrose, CA is responsible for hiring and supervising subcontractors and providing materials when necessary. They also should have a thorough knowledge of California building codes and construction-related legal issues, as well as current design and product trends. Here are some related professionals and vendors to complement the work of kitchen & bath remodelers: Woodworkers & Carpenters, Kitchen & Bath Designers, Interior Designers & Decorators, Architects & Building Designers, General Contractors. 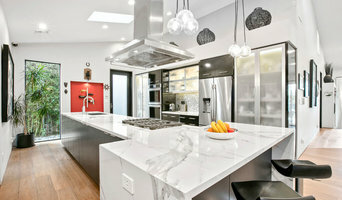 Find a La Crescenta-Montrose kitchen and bathroom renovator on Houzz. Narrow your search in the Professionals section of the website to kitchen and bathroom remodelers in La Crescenta-Montrose, CA. You may also look through photos of La Crescenta-Montrose, CA spaces to find kitchens or bathrooms you like, then contact the bathroom or kitchen remodeler who worked on it.